Following the resignation of some of its top officials, the Trump administration is purportedly eyeing Julie Kirchner, the former director of an anti-immigration group, to lead the federal agency responsible for approving citizenship applications and asylum requests. POLITICO reports that the White House is mulling over the appointment of Kirchner to the U.S. Citizenship and Immigration Services agency. Already its ombudsman, Kirchner is poised for a promotion. However, Kirchner is the erstwhile head of the Federation for American Immigration Reform. The group—ironically acronymized as FAIR—advocates for less legal immigration. It also takes an aggressive stance against undocumented aliens already living within the United States. FAIR’s rhetoric is sufficiently controversial to have attracted the scorn of immigration advocates and civil rights watchdogs. White House Senior Adviser Stephen Miller is often credited as being a driving force behind many of the White House’s anti-immigrant measures. Image via Wikimedia Commons/Flickr. Photo by Gage Skidmore. (CCA-BY-3.0). According to Splinter News, Kirchner left her position with the Federation for American Immigration Reform in 2015, hired as an adviser for the Trump campaign. In April 2017, she served as an adviser to then-acting Customs and Border Protection Director Kevin McAleenan. McAleenan, notes Splinter News, recently became the acting secretary of Homeland Defense, following Kirstjen Nielsen’s forced resignation. Political commentators believe the rapid-fire and drastic restructuring of border-control and immigration agencies is tied to the influence of White House senior policy adviser Stephen Miller. 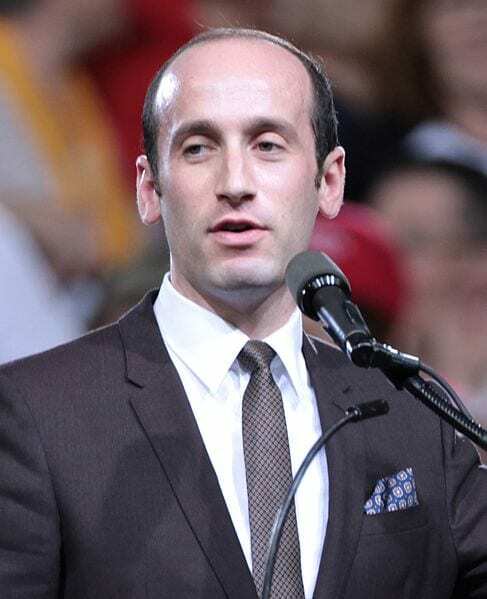 Miller, a far-right political activist, has extreme views on immigration and has played a key role in designing some of the administration’s most controversial projects. Along with prompting President Trump to limit refugee intakes, he, along with former Attorney General Jeff Sessions, engineered last summer’s family separation crisis along the U.S.-Mexico border. If appointed, Kirchner would replace Lee Francis Cissna as the director of the USCIS; the administration has also evaluated Kirchner’s viability as the agency’s second-in-command. POLTICO says that “restrictionist immigration groups” have pushed for Cissna to keep his posts, arguing that he’s been effective in carrying out the Trump administration’s agenda.